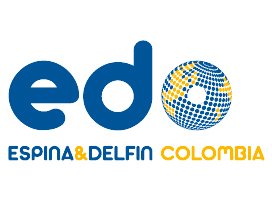 CORPORATIVE - Espina & Delfin, S.L. Our main mission is to carry out hydraulic and public construction work and provide municipal water management services. Our goal is, and always has been, to improve standards of living by contributing to the creation of a sustainable environment. We base our work on quality, continuous training, confidence, achievement and, above all, personal commitment from a trained team ready for the greatest challenges. Placing emphasis on our professionals continuous training. This is then incorporated into their professional profiles and subsequently improves our teams’ knowledge. Commitment to the environment is another of our strengths and is always a priority in every project or construction work we are involved in. Commitment to cutting edge technology provides us with continuous developments in work processes, final product and service quality. This company is more and more competitive by the day. Our policy of transparency and honesty means highly successful customer satisfaction and total confidence in our work and our vision of projects. 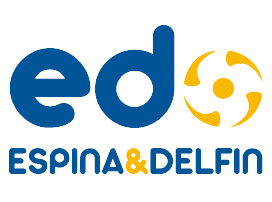 ESPINA & DELFIN S.L. was founded in the 1970’s with the aim of developing management systems in various water cycles, from its catchment from the natural environment until its release. During this process the water is treated and purified to ensure its drinkability and discharge quality. 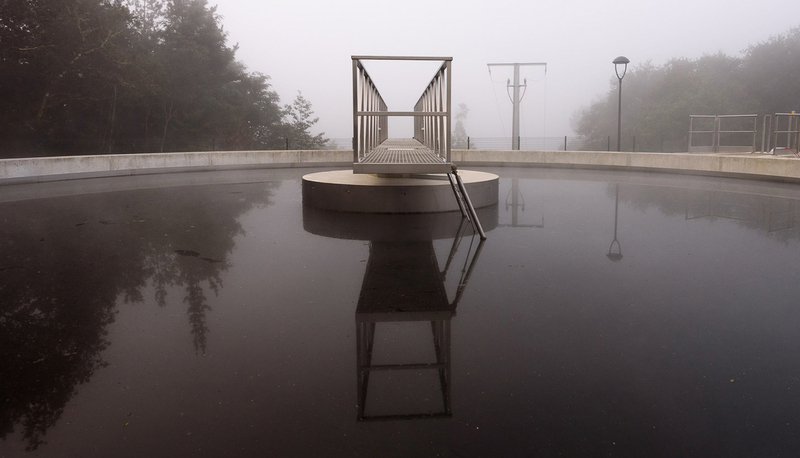 Our expertise has been gained from our experience in designing and constructing much of the water infrastructure in Galicia, and from our management of maintenance services and our water operations in more than 50 districts. This experience has led us to be a diversified, ever-expanding company. Due to our extensive track record, we are recognised as one of the most creditworthy international companies in wastewater treatment and management of municipal waters. We are also acknowledged as a company skilled at capturing new markets and one that is expanding internationally by optimising resources and promoting sustainable development. Ever since our first business project, this company has always been characterised by its commitment to water quality through R & D (research, development and innovation). We proudly collaborate in the National Plan for Scientific Research and Technological Development at the University of Santiago de Compostela (USC) and with the Galician University Foundation (FEUGA). 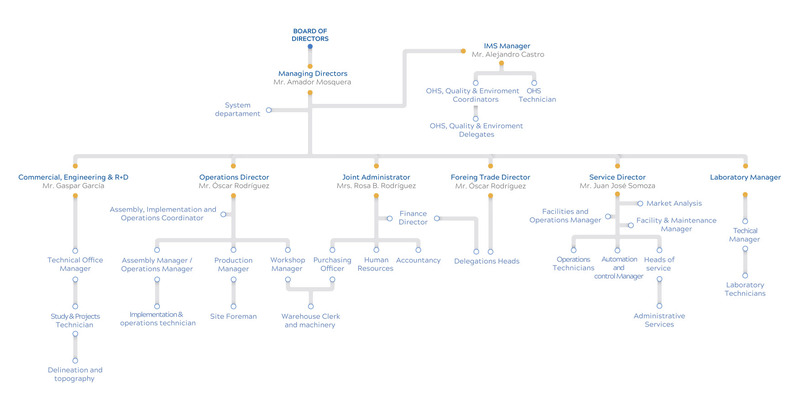 Organization chart Espina & Delfín S.L. As in any successful company, the company’s employees pool their expertise to achieve success in each team project. Espina & Delfin S.L. 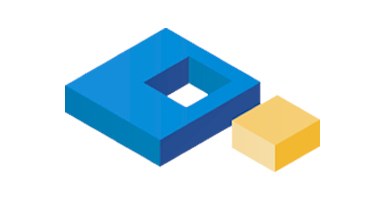 is a team of more than 300 long-term professionals all sharing a dedicated commitment to their work. Due to this commitment, we work to give the very best of ourselves in every phase of a project’s design, plant construction, and management of water services. Our commitment goes deeper than work as it is supported by a specialised continuous training programme in each of the company’s departments. Training is in accordance with the sector’s evolution, domestic needs, new projects and area expansion. This training is used to improve skills in the technical aspects of business and project management. Training essentially focuses on technology and health and safety and is monitored by more than 20 qualified specialists. Our ability to manage all types of projects means we maintain a positive and sustained economic development that guarantees the financial solvency of Espina & Delfin, S.L. Our growth is so well-managed that we are obtaining greater performance throughout our business structure. As such, we have been reinvesting our results in training, research, people and renewal technology and this has provided us with a highly privileged, competitive position. 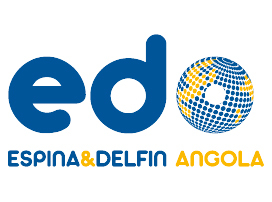 Espina & Delfín has been betting since its foundation as a company by international projection, obtaining contracts in countries like Angola, Portugal and Colombia. 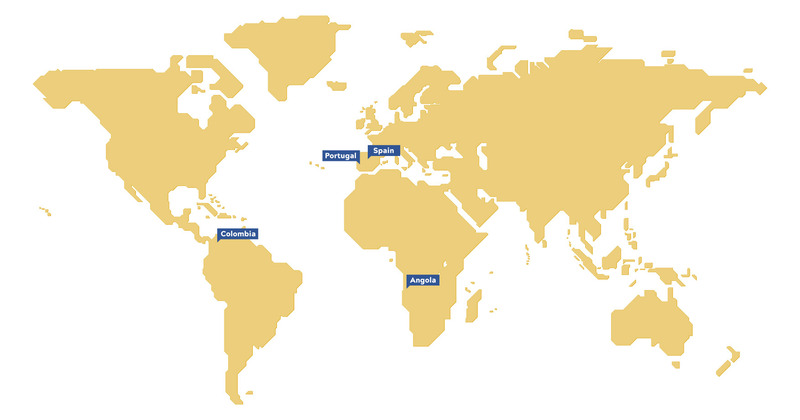 In these countries it has operated alone or with local partners, managing to execute up to 34 major works. 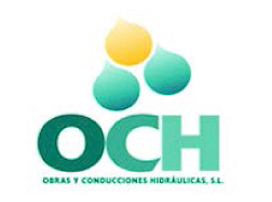 Its strategy of international expansion based on the pursuit of perfection, has led it to become one of the few Spanish companies that make hydraulic constructions of international scope. In this section, we present a map with some of the most outstanding works in those countries. Espina & Delfin understands Corporate Social Responsibility (CSR) as one activity more within our business plan. For us, this is a very active contribution which is focused on improving the quality of life in society, either financially, environmentally or by defending human rights. This volunteer spirit is bred into the genetics of our company. Responsible management of the company’s human resources. This is achieved by promoting human equality, offering equal opportunities for all, without any discrimination, generating a good working atmosphere, professionally training our teams and continuously developing our health and safety programmes. This work ethic lends towards helping our employees improve not only their professional lives but also their personal lives. Our services are wholly based on quality and stand out for being honest, transparent and reliable. This has been achieved by providing the best water management service possible. It is a management that is based on selecting the best for our business philosophy, commitments, and corporate policies. 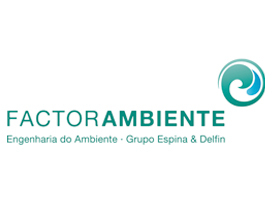 We mainly focus on a management based on minimising the negative impact on the social and environmental surroundings while enhancing the positive effects. We maintain solid ethical standards (good housekeeping, anti-corruption and transparency) in relationships with other actors and in the day to day operations. We assume responsibility for defective products, we carry out recycling programmes and we use clean, renewable energy. Our commitment to society is based on actively promoting grassroots sport. We believe it is essential for an individual’s personal development, for both their education and psychology. We encourage research, humanitarian and social projects which can help improve the future of our community. – ESPINA & DELFIN is part of the Board of Trustees in the HERACLES FOUNDATION (link). This foundation works on the promotion of basketball in Galicia through the grassroots levels of Monbús Obradoiro, a professional club currently playing in the Spanish elite, namely in the Endesa League. It is a recent short-term project but with the prospect of becoming a long-term one. The cornerstone of all grassroots squads is of a social nature, thus providing a complete sports education on both physical and psychological aspects. – Collaboration with grassroots sport in towns where ESPINA & DELFIN is currently providing service. EDUCATIONAL VISITS TO OUR PREMISES, we can offer educational organisations, such as state secondary schools, public schools or other types of associations, a protocol for guided visits to our premises. Students would learn “in situ” the waste water procedures in our plants. THE ESPINA & DEFÍN GROUP Ltd.
Espina & Delfín Ltd. is the benchmark business for the Espina & Delfín Group. 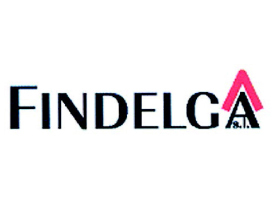 A company conglomerate that cover all aspects of the integrated water cycle. 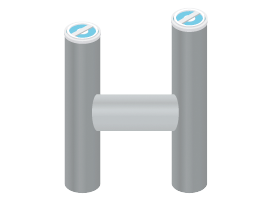 Design and Construction of Hydraulic Work. Management of Municipal Water Services. ESPINA & DELFÍN ANGOLA, S.L. Design and Hydraulic Construction Work. ESPINA & DELFÍN COLOMBIA, S.L. OBRAS Y CONDUCCIONES HIDRÁULICAS, S.L. Management of water supply networks.